As expected, and we stated this this morning, we expected a major earthquake today this afternoon. 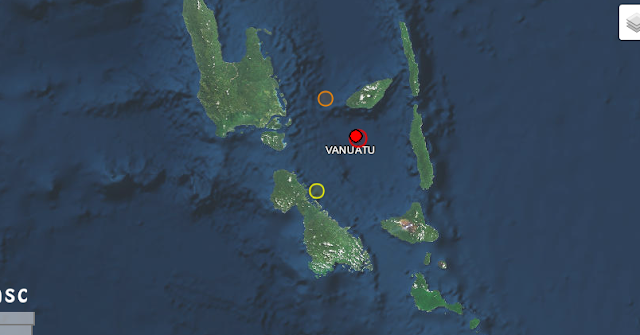 Here we have a 6.2R deep earthquake, (134km), in Vanuatu Region. The maps above shows the locations. 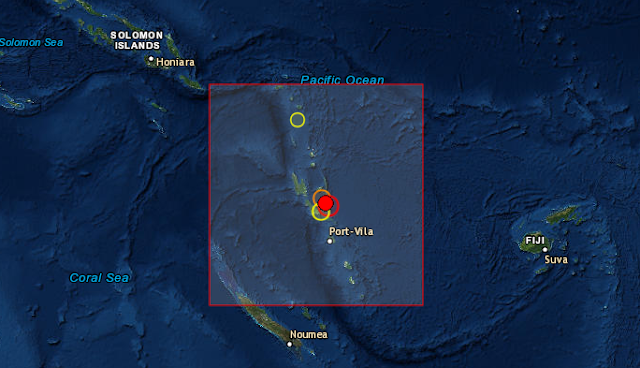 The earthquake came in the middle of the ocean between the group of islands, 56km from Luganville. No further news on this.